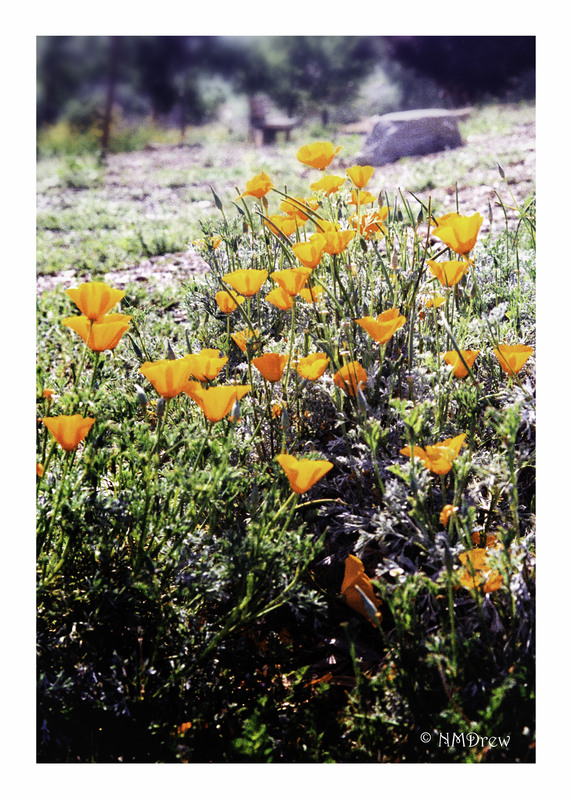 California poppies mean Spring! Combined with purple lupines, the mountainsides are a delight to behold. These poppies are in the local botanical garden, but they can show up anywhere. They vary from deep orange to yellow, some with orangey streaks in the center of their golden petals.